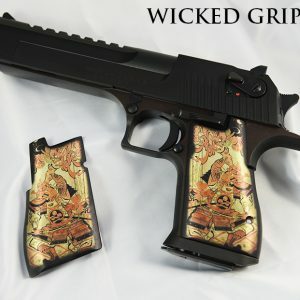 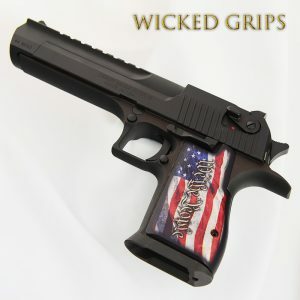 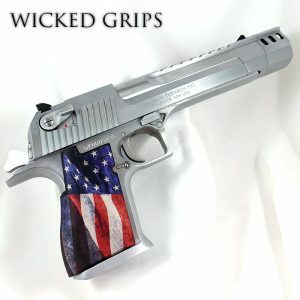 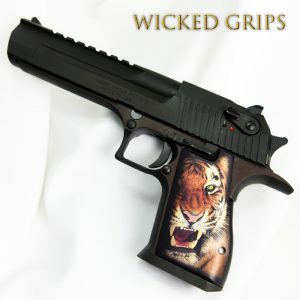 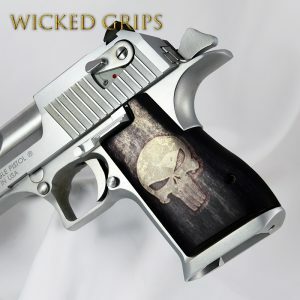 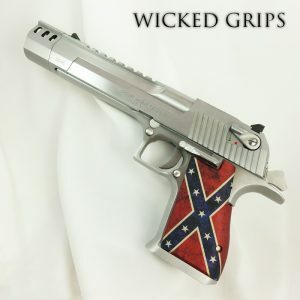 Custom Desert Eagle grips by Wicked Grips. 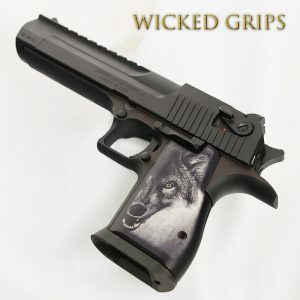 (These grips do NOT fit the “Baby Eagle” ). 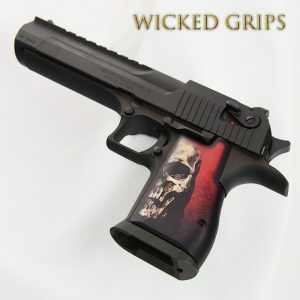 Each set is made in a new design which allows for a single screw (included) to fasten the grips securely to the frame. 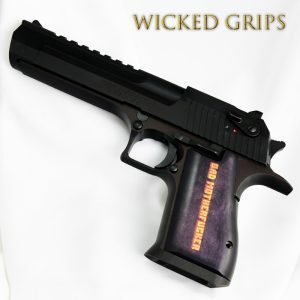 Please watch our installation video located below the product description. 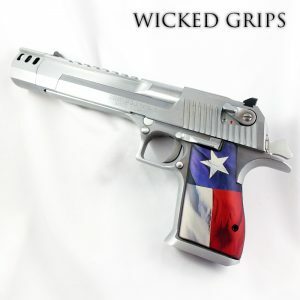 Our grips are made in the USA in aluminum, then finished in our art. 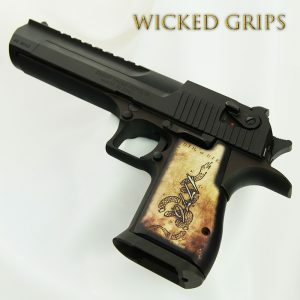 The finish is more durable that the factory grips, giving years of service without fear of the art wearing. 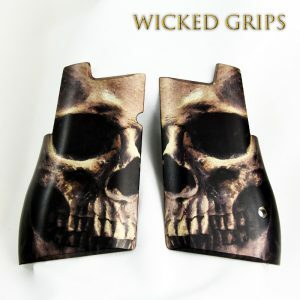 Slimmer than factory, they also allow those with smaller hands an even better grip than some of the larger grip designs. 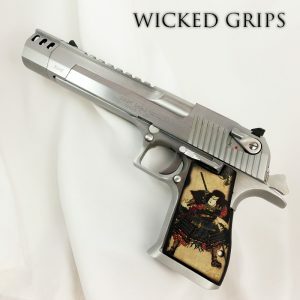 Due to changing frame tolerances over many years and different factory/makers of these pistols, minor fitting might be required in rare cases. 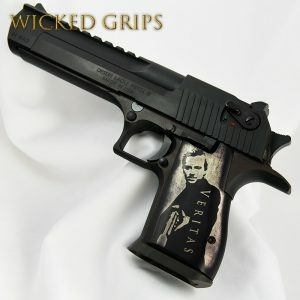 We suggest having a qualified person install them if that is the case. 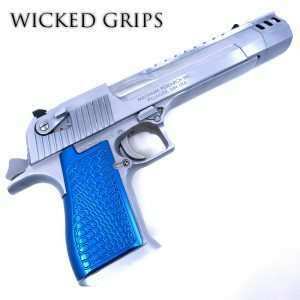 You may also ask us to help fit the grips for you, which we are happy to do for free… However, the customer would be responsible for shipping. 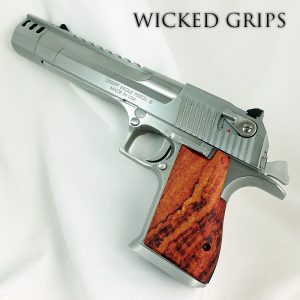 We make our grips to tight tolerances, which fit the vast majority of quality frames, but we cannot be responsible for tolerance changes outside of our control.